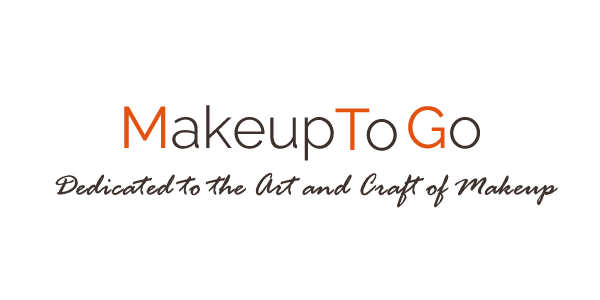 Category: Makeup Monday | Page 2 | Makeup to Go! Howdy folks. It’s finally Autumn, my favorite season.. In California it’s a time for clear, crisp sunny days but with cooler, friendlier temperatures. And while we here in Southern California may not get the “change of seasons” in terms of foliage that other regions do, there is a beautiful change in the light. It’s almost like going from a bright hazy yellow to a more sharply focused amber hue. Just gorgeous. While they aren’t actually new, Micellar (Micellaire) Waters have become the Big New Thing in skincare. What IS new is All of a sudden the talk has changed from using it either on set or using it occasionally as part of one’s personal skncare routine to everone using it regularly in the place of traditional cleansers and moisturizers. Whoa whoa whoa… let’s not go crazy here, folks. 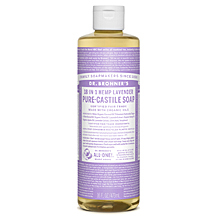 I am big on my skincare, particularly of using the right skin cleanser, so I wanted to put this to the test. 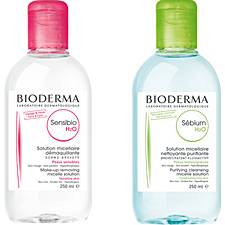 Bioderma Sensibio (originally called Crealine*) is the original formulation (I made mention of this in my previous Makeup Monday post), and the Sebium H2O is one of several new additions to the Bioderma skincare line. Both are a cleanser/makeup remover and some would say moisturizer all in one. Both are formulated to be gentle on the skin, and to leave the skin clean and refreshed without needing to rinse off the product. 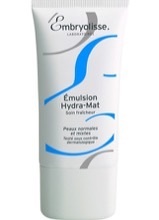 The Sebium is made for oilier skins and contains ingredients to control clogged pores and sebum production such as zinc gluconate (effective anti inflammatory ingredient) and copper sulphate (increased collagen production amongst other claims, but the actual efficacy as a skincare ingredient is less certain). 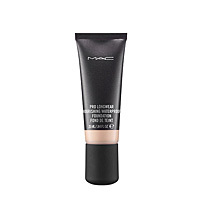 I have very oily skin and I do not care for the way makeup feels on my skin so when I do wear it, I generally want it off at the first available moment. SO, I took advantage of a couple of days where I knew I had to wear makeup (business meetings) to come home in the evening and use these Micellar Waters. Despite the fact that the Sensibio is supposed to be “not strong enough” for my skintype, I found I preferred it for makeup removal as it removed the makeup (Bare Escentual Matte Powder Foundation) faster in my opinion. That said, Sebium is better for me as a face cleanser. 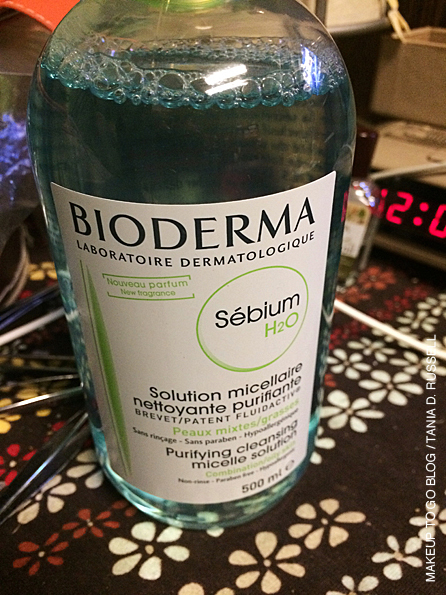 I did not feel as though Sebium got the makeup off as quickly as Sensibio (I needed to use both sides of 5 cotton rounds to get everything off), so I wouldn’t use it as a makeup remover; in all that time I could have just washed my face. HOWEVER I do like it very much for times when I need a quick face cleansing (like post-workout), in the morning, or even before bed IF I didn’t wear makeup that day and I’m too tired to wash my face. TL;DR – Micellar Water will NOT be replacing proper face washing for me anytime soon, but they are good for quick clean-ups. Pro Tip: *It seems that with the addition of the newer formulations they are re-branding the entire line, however the Sensibio is the same product as the artist formerly known as Crealine. I got this for no reason other than I wanted it and so far I’m loving it. By Terry is a luxury brand that comes with a luxury price tag. It is a staple in my “star kit” which is increasingly becoming “my kit”. 99.6% of the time I am working in a neutral color palette on the eyes, but I did feel like I wanted to add a new selection of autumnal colors to my arsenal. 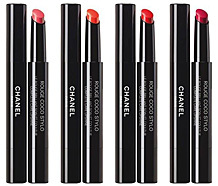 These are gorgeous gorgeous gorgeous jewel tones, nicely pigmented (aka it reads even on my skintone and doesn’t have a white cast), flatteringly sheeny without being too shimmery, with a velvety texture. 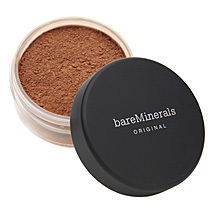 At $96 it’s no joke BUT it isn’t a palette I expect to be using super often so with proper care it should last a good while. Pro Tip: By Terry as a brand is available at Barney’s, Space NK, etc. 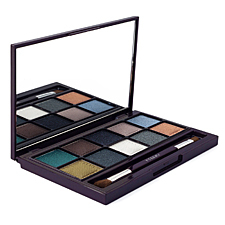 but Magnet’Eyes Palette #3 is exclusive to Beautylish. If you are a working artist OR if you just own a lot of makeup, the best way to store your makeup in terms of ease of use and organization is to “palette-ize” your products, i.e. 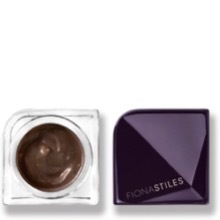 transfer your product from the original retail packaging to an empty palette. This makes it easier to see and use what you have and it takes up less overall space (hence it’s essential for a working artists’ kit). 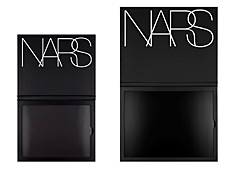 The latest entry into the artist palette realm is NARS Pro Palette. These are plastic shell palettes with magnetic backing to hold cosmetics pans in place. I purchased mine to house product I already own, but you can also “build your own palette” online or in a NARS boutique. Since I have no idea how these are going to wear in the long run, and since I tend to prefer to keep my kit small anyway I’ve started out with a small palette. Fortunately neither size are too large, nor are they too thick. I’ll be doing a follow up on these after I’ve used them for a while. 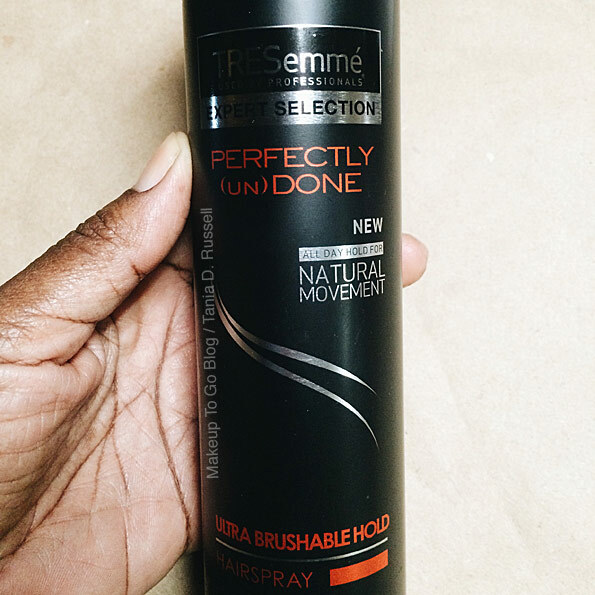 Tresemme Perfectly Undone brushable hold hairspray. Lifesaver. You’re away from home and you realize you’re missing a needed product. This has happened to me both personally and professionally more times than I care to even remember. Because this has happened to me a ga-zillion times, however, I’ve discovered a whole arsenal of GREAT “Lifesavers”; products that I can buy anywhere and that perform without missing a step. 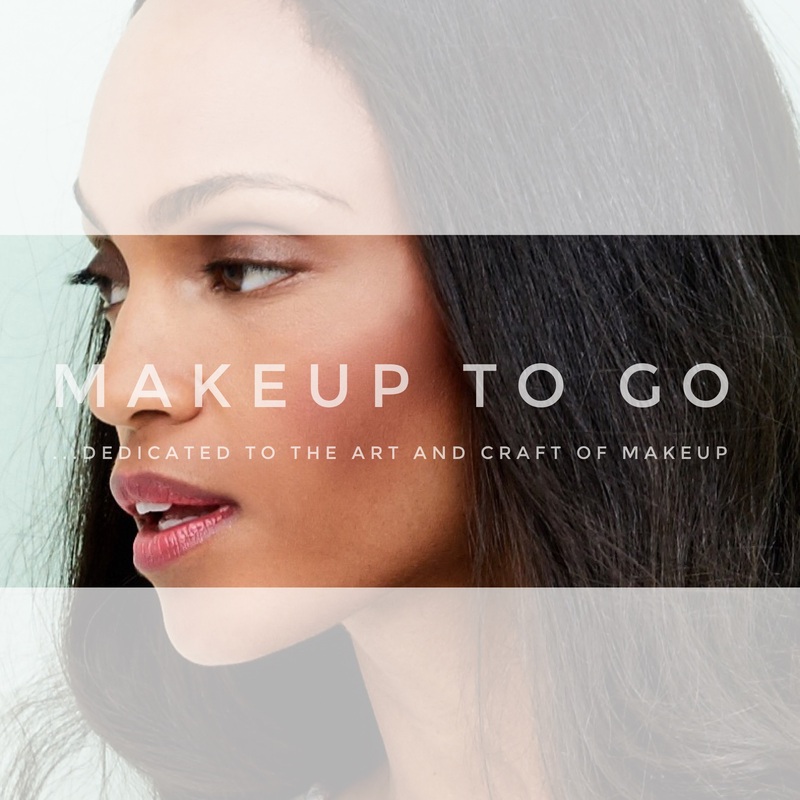 I recently worked up in San Francisco and at the time I left LA, I was booked to do one commercial job and then also teach (I am a recurring specialty instructor at the Blush School of Makeup in SF). Neither of those jobs required me to do hair so I decided not to pack my hair kit. This was a mistake. While in the Bay I got booked for another commercial job, and this one required both makeup AND hair. UGH! I was able to borrow hair tools from the school (THANK YOU!) but I needed to get product, obviously, and Friday night the day before the shoot does not leave one with many options (particularly outside of NYC or LA). I knew I’d have to drugstore it and I KNEW I was getting Tresemme. Tresemme makes excellent pro-quality products and I can *always* find something to fit the bill. When I’m shooting I prefer brushable hairspray because I often need to change styles and I want a hairspray I can also use as a for thermal styling. Normally I use either Bumble and Bumble Does it All Spray or good ole Elnett and I will say that the Tresemme Perfectly Undone Hairspray can take the “Pepsi Challenge®” with either of those two products. PRO TIP: Not packing any sort of a hair kit was a poor decision on my part. If you market yourself as makeup AND hair, always have a hair kit on you. Again on the hair tip, but this one is personal not professional. I wear my hair in its natural, afro textured state. Thusly my main hair concerns are to a) keep my hair moisturized and b) keep my hair moisturized at all times. Speaking only for myself I do not particularly worry about curl definition and I’ve been natural for well over 20 years so I am incredibly hair lazy. Therefore I don’t really use styling products unless they are also moisturizing so I can get some 2-for-1 action. Finding quality haircare (no petroleum, ‘cone-free, no crazy fragrances, etc.) for natural hair has been drama until recently but now several good brands are available in Target and other such mass-retailers. 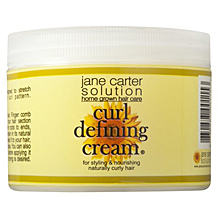 One of my faves is the Jane Carter Solution brand, which is naturally derived, features many Vegan items including the Curl Cream, and all of her products are focused on moisturizing and nourishing the hair. The Jane Carter Solution brand is in Target, Ulta, and even Whole Foods Market so it is pretty easy to find no matter where I am. The line is not just for natural coily/curly heads either, Jane Carter Solution has products for all hair types so check it. Honorable Mention: Oyin Handmade Shine and Define cream. I love Oyin Handmade and I actually started using the line well before discovering JCS BUT while Oyin is now in Target, it is not yet quite as widely distributed and Target does not yet carry the entire product line. PRO TIP: I also keep some of the Curl Defining Cream in my kit. 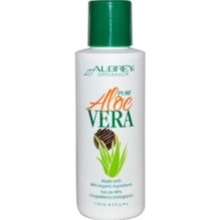 It’s a great styler for any sort of curly/coily/multi-cultural hair. 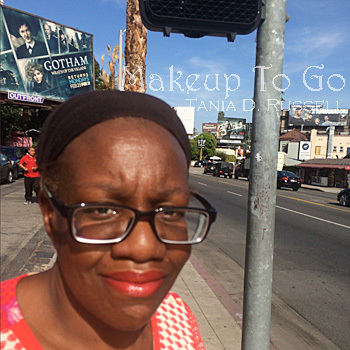 To date I’ve fortunately never been so out of it that I forgot my makeup kit, but I have had times where I’ve needed some quick skincare items. Micellar waters have become all the rage and makeup artists have, in fact, been using them for years because they do work (NO they do not replace washing your face, but in a pinch they effectively remove makeup and cleanse the face without needing to rinse afterward). 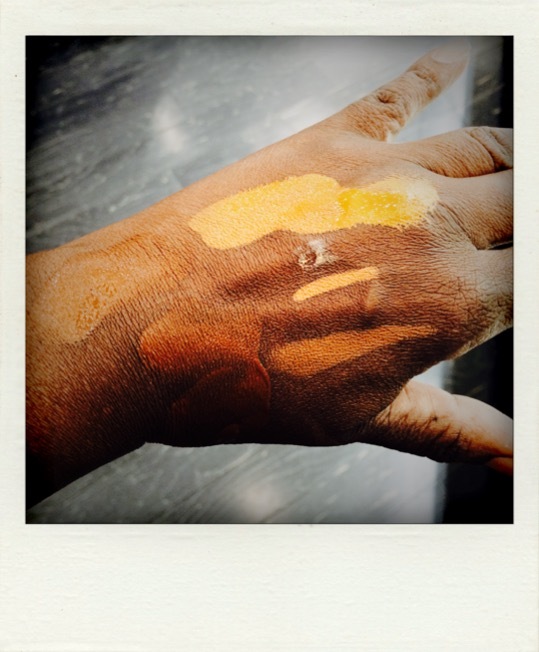 Everyone by now has heard of the legendary Bioderma Crealine which artists used to have to bring back with them from travels abroad, and even now you can only get it in the States online at Beautylish. 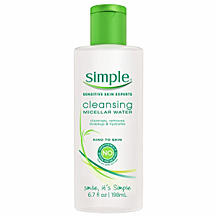 The Simple brand’s Cleansing Micellar Water is vitamin-enriched and made with triple filtered water and leaves the skin refreshed and hydrated. The Simple brand micellar water is also much more affordably priced should you decide you want to incorporate micellar into your regular skincare routine. Finding an oil free moisturizer that does not contain a bunch of actives but that also actually does anything is challenging. 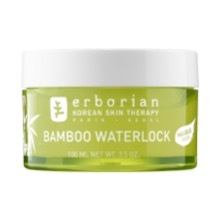 Finding a moisturizer that uses naturally derived ingredients but does not use an oil base is very challenging. 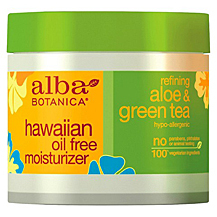 Joy came to my life in the form of Alba Botanica Aloe & Green Tea Oil-Free Moisturizer. 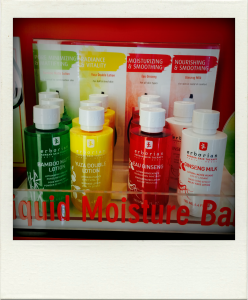 When you first apply it, the texture may seem odd because it’s a kind of gel-like and slippery. Initially it may seem like it didn’t do anything but after a minute or so you will bask in how soft and supple your face feels. 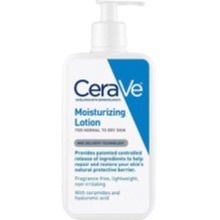 I also like this moisturizer because it plays nicely with Sunscreen (I don’t like moisturizers with Sunscreen in them, I’d rather layer two separate products for maximum effectiveness). This has actually become a staple item for me since first discovering it in a state of desperation. I. Was. So. Stoked when I discovered that Target was now carrying select items from the Nuxe brand. Nuxe is another one of those “makeup artists love it” brands that was – not as ridiculous as Bioderma – but a little challenging to get as it started as a small brand generally available in specialty stores (like Space NK), but now Nuxe is all grown up and widely available. 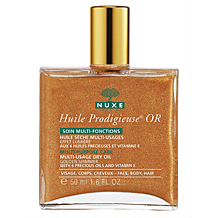 Like everyone else in the know, I absolutely adore the Nuxe-Huile Prodigieuse® Multi-Purpose Dry Oil Shimmer. Nuxe is known for their famous dry oil, Huile Prodigieuse for Face, Body and Hair. 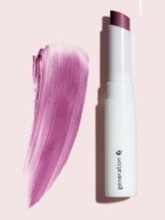 This is that same amazing oil base with shimmer added to it. I can do so much with this product anytime I want to add a pop of sheen (or change product texture) on body, hair and face. I first bought this on the road when I got booked to do a red carpet client and I needed to add a little bit of highlight to her face and some color and sheen to her legs. Worked a treat. Obviously, we would all prefer to have our standby, “Holy Grail” products with us at all times but let’s face it; life happens. It is good to know, however, that when for whatever reason do not have one of my tried and true regulars, there are a lot of quality products which I turn to in pinch.